As Ebola concerns ripple across the nation, the Chicago Fire Department uses respirators that have not been “fit-tested” as required by law, NBC 5 Investigates has found. First responders are often the first to see patients. They are the first to treat people. And also the first to be exposed. 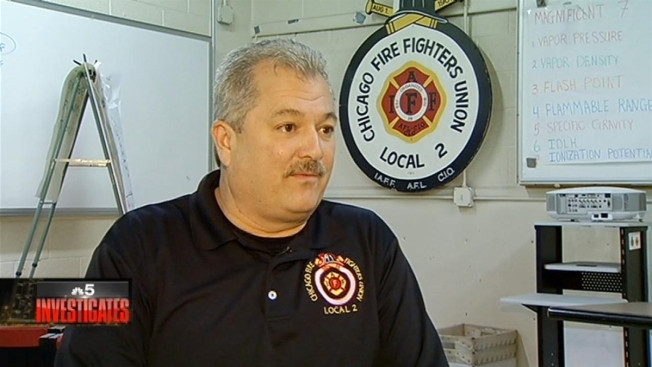 “We have what’s called an N95 mask which is a mask that has a one-way valve that protects us from anything that’s airborne,” said Tom Ryan, President Chicago Firefighter Union Local two. The disposable, one-time use mask are meant to protect paramedics and firefighters from fluids that may be transmitted by patients. But the masks must be properly sealed in order to work. The U.S. Occupational Safety and Health Administration requires that firefighters and paramedics be tested every 12 months. Some firefighters NBC 5 Investigates spoke with, say they have not been tested in years. The fit test is a simple, quick test that determines if the face seal on the mask is secure … preventing exposure. A Chicago fire department spokesperson says they are now sending out instructions to all firefighters and EMTs explaining how to test the respirators. And next week every employee – starting with medics – will have to demonstrate that they actually know how to fit test their respirators.